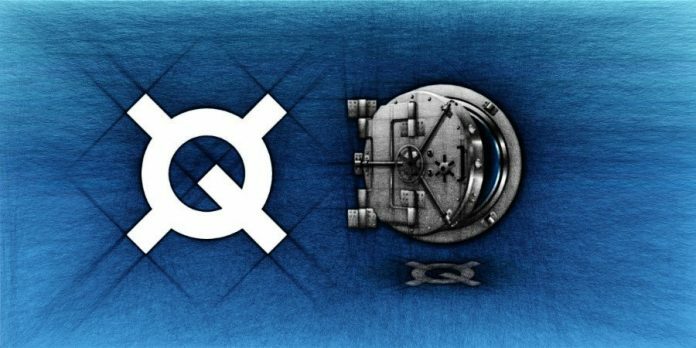 Quantstamp has found a very strong support at $0.08. The support is confirmed by two Fibonacci retracement levels. First is 38.2% Fibs applied to the uptrend trendline breakout point. Second is 127.2% Fibs applied to the corrective wave up after the trendline breakout. Clearly the support has been rejected and price produced a double bottom on the lower time frame. This could suggest the reversal of the trend and should potentially send QSP/USD to the new all-time highs. There are two major resistance levels that should be watched while the Quantstamp is climbing up. First is $1, that is 127.2% Fibs and also a strong psychological resistance. Second is $1.25, that is 161.8% Fibs. Break above the $1.25 resistance could result in yet another wave up, while rejection could start the correction down. On a downside, weekly break and close below the $0.08 support should extend the consolidation, but it is unlikely that the price will go much lower.